The SpiralVeyor® ML is a Multi-level Spiral elevation solution with patents pending. 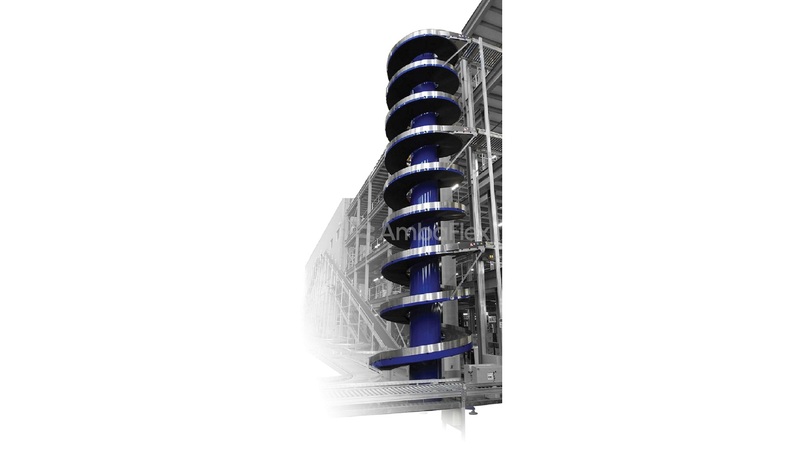 In the 1990s the AmbaFlex SpiralVeyor® became an industry standard for vertical movement from a single infeed to single discharge, lifting or lowering. The ML version is an improvement on the classic SpiralVeyor® concept adding extra in feeds and discharges. The SpiralVeyor® ML is most applied in pick modules, order release systems and goods to man concepts.